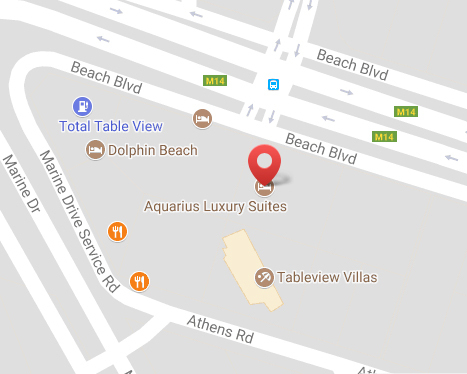 We are situated on the 11th Floor of Aquarius Suites, on Blouberg beach front, a mere 20min drive from Cape Town. This spectacular location boasts world famous views of Table Mountain and The Mother City. Inspired by the beauty and energy of the majestic Atlantic Ocean, infused with the experience and personalities of two friends, the de’Vara journey strives to leave you feeling indulged and re-harmonised. If being totally and utterly pampered, while sipping a glass of bubbly by yourself or with friends sounds inviting then join us in one of our packages (max 12 pax). Alternatively we have a variety of treatments on our Spa menu. De’Vara boasts 1 single and two double treatment rooms. A sea facing manicure & pedicure room, a relaxation area with infra-red sauna, a chic dining area plus access to the roof top pool and gym area.